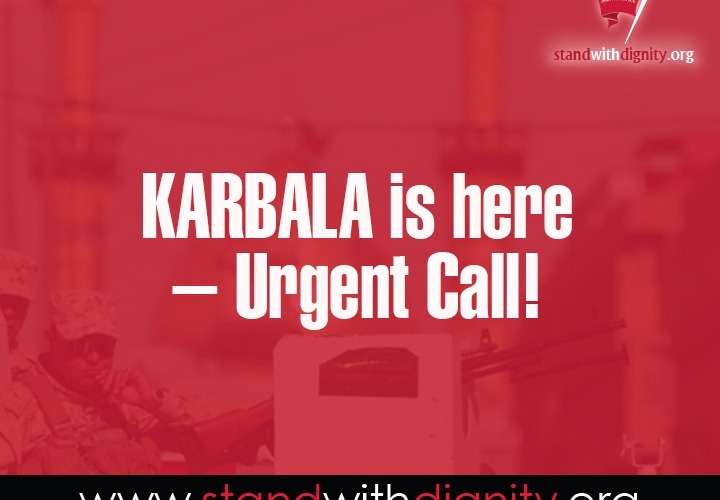 KARBALA IS HERE – URGENT CALL! With regret and disappointment, the Muslim Ummah is facing the biggest calamity and mischief of its time. During the past few days, the political situation in Iraq has been deteriorating. 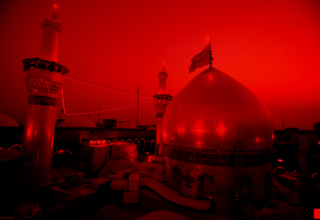 In the beginning, the Takfiri terrorists attacked the city of Samarra targeting the Shrine of Imamayn al-Askariyyaen (AS). Then, they continued their attack on the city of Mosul and a number of nearby cities until taking control over the entire province of Naynawah. To this day, reports reveal that the security situation in Iraq is dire as killings and threats are ongoing affecting all of Iraq and the greater region. The situation is so serious and threatening that for the first time in a very long time since the 1930’s, the grand Marja’eat in Iraq has pronounced a statement demanding and commanding the obligation of believers to take arms in defense of Iraq, its citizens, and the holy shrines of our beloved Imams (AS). 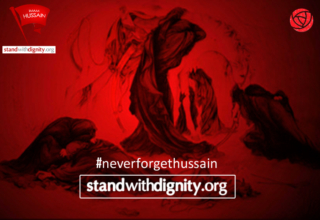 This determined attack is not only an attack on the followers of AhlulBayt (AS). The conservative Sunni are also the victims of the Takfiris, hence, this is a case about protecting Islam and the Muslims. In fact, this is not a sectarian case but a fight for the rights of humanity to the basic rights of citizens, respect of religious beliefs and holy sites. Grand Ayatollah Ali Sistani issued a statement declaring this obligation as Wajib Kefa’ee meaning it is not an obligatory command for all believers, however if there are not enough believers defending this cause, then more will be expected as a matter of obligation to step up and join the defense forces. This statement from the grand Marjaeat in Najaf al-Ashraf who is followed by a great majority of Shi’a believers, shakes the conscience of even the most passive among us. The situation is grave, and the statement is binding on each and every one of us and is not limited to those living in Iraq. The call of grand Ayatullah Sistani applies to all believers and not only the Muqaledeen (those who perform Taqleed) of his Eminence as the cause he is calling for is for the safety of Islam and the Muslims and our sacred mausoleums. At this stage where the declaration is Wajib Kefa’ee, perhaps not many of us are obliged to join the forces of defense. But surely, as believers we must brace ourselves in preparation to sprint for action and prepare ourselves mentally and practically to act if this declaration converts to Wajib Ayni (compulsory act which is obligatory on each and every individual). The time for test has come for the believers who claim to love and follow Imam Husain (AS) and it is not a coincidence that the recent events have transpired in these auspicious days of 15th of Sha’aban where we celebrate the birth of our Living Imam (AFS) and yearn for his hastened reappearance while we are fed up with overwhelming injustices and oppressions of today. 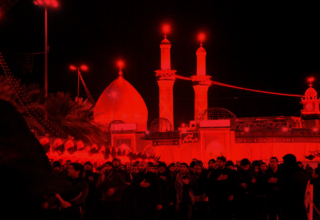 The Karbala of yesterday has emerged in our age in time and it is here today – in Iraq – and the enemy is none other than the ignorant Takfiris who blatantly condemn the followers of AhlulBayt (AS) and openly call for the shedding of their blood with the intent of eradicating us and expanding their rule in the region far and wide. How are they different than Yazid and Ibn Ziyad (LA)? They are one and the same, they are their extension living today who carry their evil and corrupted agenda and seek to put out the light of Allah (SWT) personified in the holy household of the Prophet (SA). 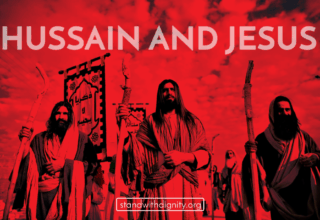 Hence, we pray in Ziyarat Ashura, “Oh Allah, condemn and damn the first tyrant who unjustly and wrongfully usurped that which rightly belonged to Muhammad and his progeny, and bring curse upon those who, after him, followed his footsteps!” The buildup of aggression and audacity has reached a climax after the attacks to the holy shrine of Seyyida Zainab (AS), yet Allah (SWT) has gracefully brought victory to the courageous fighters who steadfastly defended her holy shrine against the Takfiri so-called Muslims. Today we find that the door to visitation of our holy Imams (AS) in Iraq has been widely opened and thankfully many believers abroad are able to exercise their love to their Imam at a time when there is relative safety in the region. But if God forbid tomorrow, the land of Iraq is declared insecure and the holy shrines have become a place of threat and violence, shall we still visit our Imams regardless of those who strive to intimidate us from doing so? Indeed, the time has come for each and every one of us to reassess our position, our readiness to act and jump to the defense of Islam without hesitation. The litmus test of our testimony of “Ya Laytana Konna Ma’akom Fa Nafoozo Fawzan ‘Adheeman” is here!! Narrations indicate that at the time of reappearance of our Living Imam (AFS), many among the Shi’as will disbelieve in him and fail to support him. 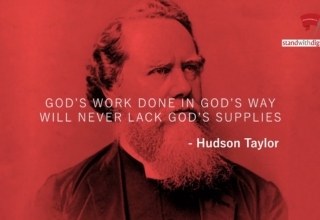 Perhaps that time has not come yet for us to be tested, but today we face a practical test that puts our faith into question and act as a litmus test for what we claim to have passion for. We must be ready to sacrifice, leave everything behind us and run for the defense of truth and its supporters, representatives, and relics. The Jihad ul Asghar (minor jihad) must also be accompanied by Jihad ul Akbar (bigger jihad) so that we prepare ourselves spiritually and deserve the honor of defending Islam. Every man must be ready to join the armed forces and every woman must urge the male members of her family to go seek this noble cause and do anything she can to serve this cause. Any failure or hesitation on our part to do us is equivalent to the people of Kufa who invited their Imam to come and provide him refuge but failed to stand with him. If we’re hoping and praying to be among the selected 313 believers who would support the government of Imam Mahdi (AFS), now is the time to prove the sincerity of hopes and the value of our tears shed for the tragedy of Ashura. Brothers and sisters, the ball has been thrown in our court and it’s time for us to receive it properly. Our constant prayers and supplication to Allah (SWT) in this grave matter is requested by all Muslims who believe in Islam. May Allah (SWT) enable us to put our words into actions and to defend Islam and its principles till our last breathe and drop of blood!